Every year REMS holds there Regional Award Ceremony to recognize excellence in EMS in many categories. It was held at Quantico's National Museum of the Marine Corps. This year, Fredericksburg Rescue Squad was proud to have two of our members nominated for these awards. 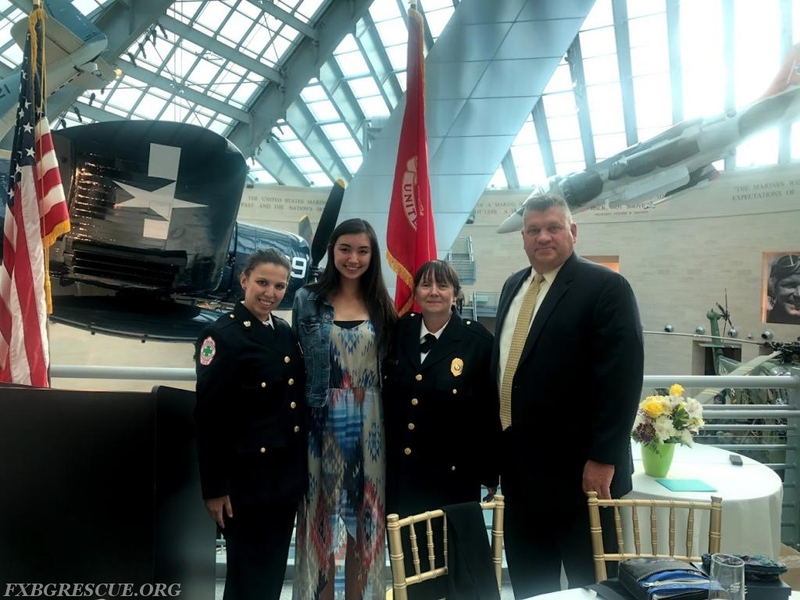 Sandy Holland was awarded with "Outstanding Contribution to EMS for Children," and Mikayla Cunney was awarded with "Outstanding Contribution to EMS by a High School Senior." From Left to Right: Chief Katrina Ramos, Mikayla Cunney, Secretary Sandy Holland, and Lieutenant Scott Davis.